Data Collections allow to combine multiple files, see Collect in . For our workflows we require more fine-grained structures. 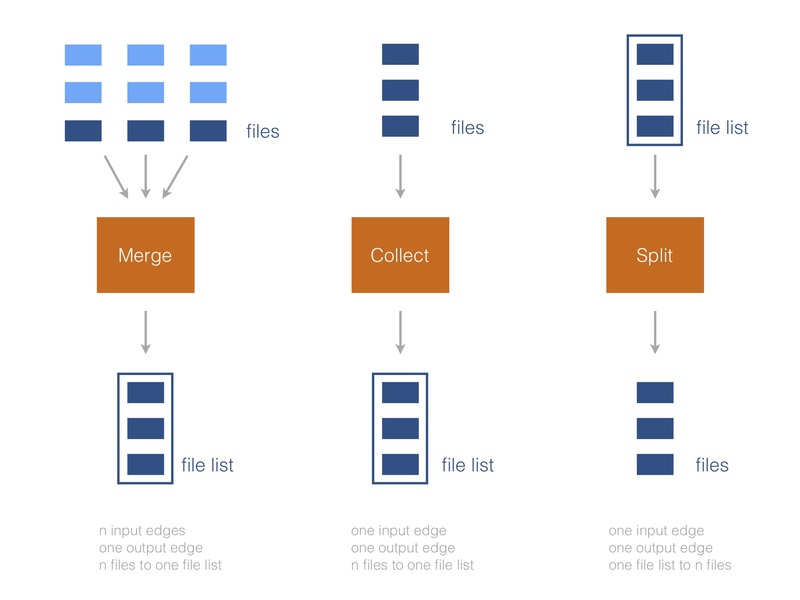 Instead of combining all incoming files, we would like to combine files that arrive from multiple notes at the same time, see Merge . In Knime this is achieved by ZipLoop. Is there a way to replicate this in Galaxy? Collections of Collections?